By some measures, the Chittenden County Transportation Authority and its drivers have never had it better. Ridership has grown 60 percent in the past decade, and drivers avoided layoffs and got raises every year during the recession. 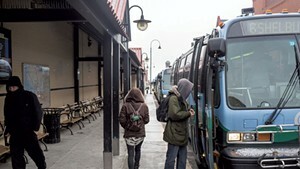 And yet, for the second straight contract negotiation cycle, talks between employees and management have turned bitter, creating the possibility that CCTA could soon call its first-ever strike, throwing the daily lives of thousands of riders into disarray in the midst of a harsh winter. Drivers, represented by Teamsters Local 597, overwhelmingly rejected CCTA's most recent contract offer. On February 19th they staged a press conference and rally on Church Street to decry management's negotiating positions and are threatening to strike as early as mid-March. C.W. Norris-Brown, a retired CCTA driver who was involved in previous labor negotiations and remains connected to the current union leadership, says a strike is likely. "It would be an eye-opener," Brown said. "It's important the public understands why these guys are striking and once they figure out why, they're going to say, 'Come on, management.'" Union head Rob Slingerland and Tony St. Hilaire, the union's designated business agent, did not respond to numerous phone calls and emails seeking comment for this story. But veteran driver Terry Luhrs said, "I'm ready to go on strike. The administration is being totally stubborn, out to make things difficult." CCTA General Manager Bill Watterson said the agency and the union are scheduled to have a bargaining session this weekend, during which he would likely be offering the drivers a new proposal. "CCTA is prepared to try to find a way forward," Watterson said. "We have been clear about our goals. That has not been reciprocated. A lot of people do depend on us, and we appreciate the fact that they do, and we're going to do the best we can to not have a work stoppage." Watching the developments warily are a slew of local institutions and leaders, who say they have only begun to contemplate how they would adjust if CCTA's fleet remains in the parking lot. In an emailed statement, Burlington Mayor Miro Weinberger said, "My administration is having planning discussions about how to proceed in the unfortunate event negotiations are not successful." Watterson deflected questions about whether his agency would be able to keep buses running or whether that might involve bringing in other, non-union drivers in the event of a strike. "We're going to make that determination when the time comes. I'm not going to talk about that." For people who rely on CCTA to get to work, the grocery store and the doctor, the consequences of a strike would be grave. Melvin Pero doesn't have a car and takes a one-hour, two-bus ride every day from his home in Winooski to the Home Depot in Williston, where he works in the garden department. His wife is due to give birth in mid-March. If drivers strike, Pero said he would either have walk to Williston or pay a friend to drive him. Without running buses, he said, "I'm screwed." Chartered by the legislature in 1973, CCTA spent its first three decades building and serving a tight network of routes in the Burlington area. In the last decade, however, the nonprofit expanded. 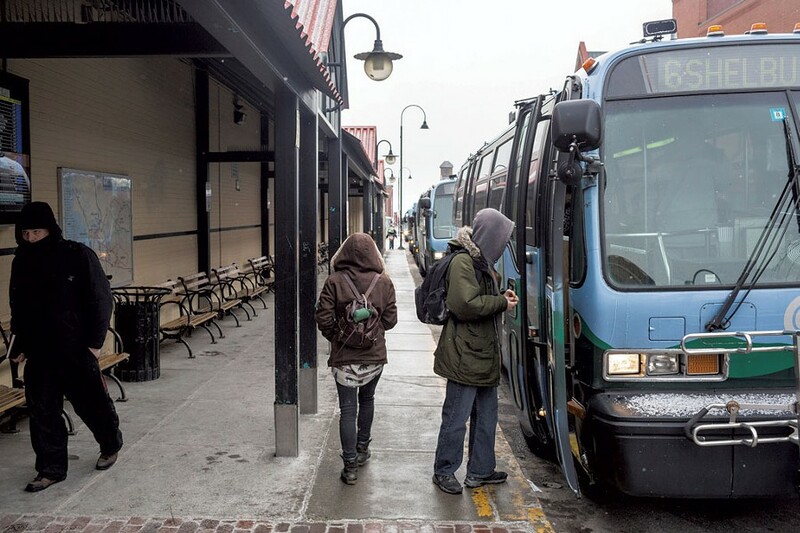 Beginning in 2003, it began courting Burlington-bound commuters from more distant communities, primarily via its LINK service. The bus service grew into Montpelier, then Middlebury, St. Albans and Milton. Most recently, in October, CCTA launched a route to Jeffersonville. The expansions have increased ridership by nearly 75 percent since 2000, to 2.7 million annual rides. The first public sign of trouble between the organization and the union, which represents 71 full-time drivers and one part-timer, came in 2010. It took three mediation sessions for the two sides to agree on a contract. That agreement expired in May 2013, after which CCTA and its drivers participated in 10 bargaining sessions over four months. By all accounts, they didn't come close to a deal. (Drivers are currently working under the terms of the old contract.) Each side then agreed to appoint a neutral fact-finder, meeting with him shortly before Thanksgiving. In early January, the fact-finder recommended the terms of a contract, which CCTA used as the foundation of its offer to drivers. The union shot it down in a 53-4 vote in early February. A 15 hour-negotiating session several days later did not result in a new agreement. Surprisingly, pay and benefits aren't among them. Starting drivers make around $42,000 a year. With overtime, which is often necessary, according to agency documents, annual pay can be more than $60,000. CCTA drivers are mostly frustrated by their workplace conditions and schedules — particularly split shifts. The expansion of commuter routes means work opportunities are clustered in the morning and evening, with a lengthy lull in between. To cope, CCTA, like many transit companies, asks drivers to work the morning commute, go home for several hours, then return for the evening commute. The expansion of those shifts has proved disruptive, according to union reps.
"The split shifts are ridiculous," said veteran driver Luhrs. "Those guys don't have any life." Drivers say split shifts are made worse by CCTA's poor scheduling practices. 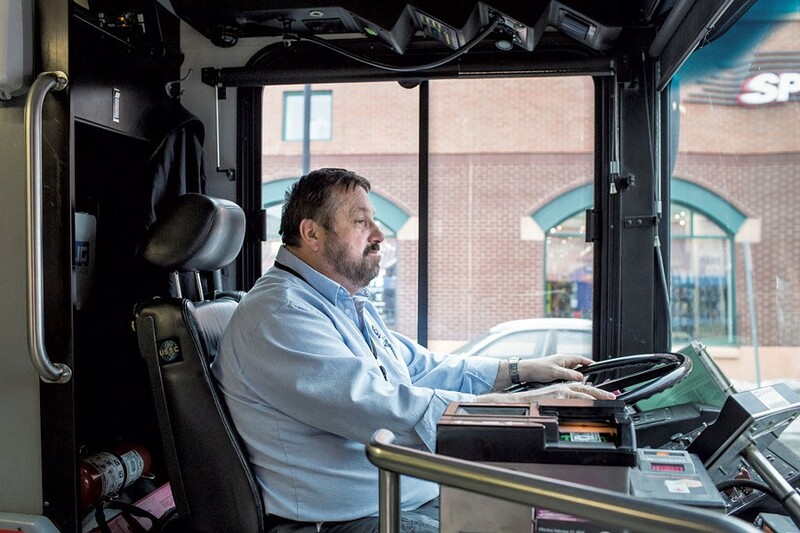 Instead of letting drivers help craft the bus schedules, the company relies on a software program that dictates shifts that drivers say are inconsistent and inconvenient. For example, drivers complain that— even after working split shifts — they regularly come up a few hours short of a 40-hour workweek. By rule, they must make up the remaining hours, either by extending a shift or claiming some of the leftover time created by sick days or scheduling holes. "They couldn't do away with split shifts, but they could reduce it," said driver Sherry Siebenaler. "There needs to be fewer of them. I'm all over the place, every day. That's what we're screaming about. They really need to do something with the drivers' schedules." But Watterson said there is little his agency can do given the needs of its ridership at opposite ends of the day. "Those jobs are split-shift kind of jobs. That's the reality," Watterson said. "Having a split shift can be challenging. The people who come to us for jobs, that is the reality to expect what their work lives can be. If someone envisions that as problematic — and I respect that it might be for some people — it's probably not the right job for them." 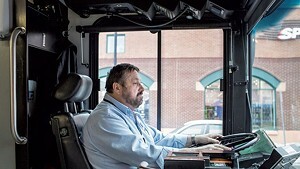 In recent years, CCTA has sought to increase the "spread time," the number of hours between when a driver's first shift begins and last shift ends. In negotiations, the union reluctantly agreed to expand the spread from 12.5 hours to 13.5 hours, but demanded in exchange that CCTA surrender the right to hire part-time drivers, which it views as a threat to the long-term stability of full-time jobs, according to the fact-finder's report. CCTA wants to be able to hire up to seven part-timers. Drivers have other complaints. At the press conference, union officials said that management had shortened breaks for drivers — the only time they can use the bathroom during a shift. They also faulted CCTA for filing written reports about the tiniest infractions, such as being a couple of minutes late, and creating a hostile work environment. Watterson said none of those complaints were voiced in the bargaining session. He said he learned about them through union comments to the media. "It boils down to management style: 'Our way or the highway; lots of people waiting for your job,'" Norris-Brown said. "Pushing drivers down instead of collaborating. CCTA doesn't like the union. They would like to have all at-will employees, which any company would, and more part-time drivers. They don't like things being demanded from them. The drivers fight back." Passengers board the CCTA buses on Cherry St. Drivers say they hope the public will support them But on a recent weekday morning ride on the No. 2 line from Burlington to Essex Junction, riders seemed less interested in picking sides than in how their own lives would be upended by a strike. 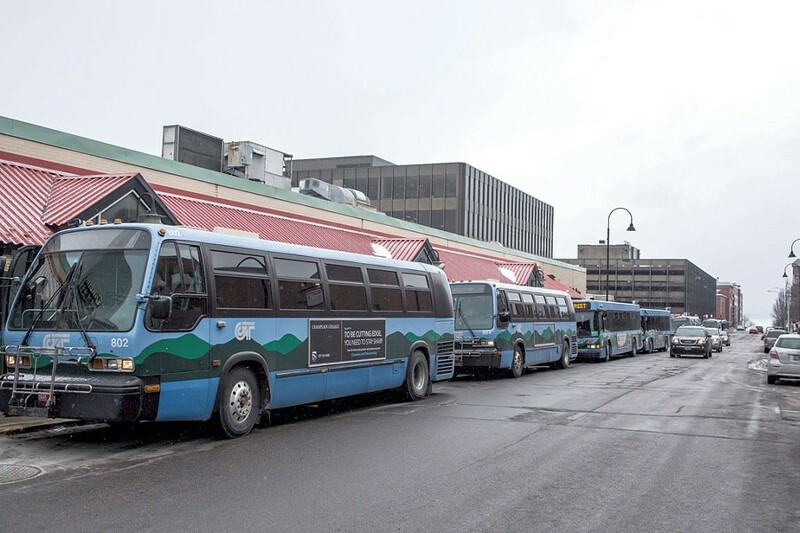 The bus line runs by several big local employers — the University of Vermont, Saint Michael's College and Fletcher Allen Health Care — and working class neighborhoods in Winooski and Essex Junction. Many of the people who get on board say the No. 2 is a lifeline. Several riders were reading en route last Thursday morning. Others, young and old, bowed their heads toward smartphones, looking up only when they knew their stop was approaching. Joel Atherton rides the bus every day to get to classes at the University of Vermont from his home in Essex Junction. A senior, Atherton makes sure to schedule his first classes late in the morning on a timetable that will work with his one-hour commute; he walks 15 minutes to the bus station, and the ride to campus takes another 45. Without the bus? Atherton said, "I'd be in trouble." Rosemary Cunningham uses the bus to go shopping and to keep medical appointments. Her daughter helps when she can, but she has a full-time job. Mike Kusmit and his family don't have a car. The Burlington resident takes the bus to Price Chopper, to physical therapy appointments in Essex Junction, and just about everywhere else. His 7-year-old daughter rides it to school. "If you want to go anywhere," Kusmit said, "it's the only way." About half of the Burlington School District's children rely on CCTA buses to get to school. Superintendent Jeanne Collins said her office has only recently begun contemplating how it would respond to a strike. The district might try to lease unused buses from other districts, but that could be costly, she said, and it is unclear how many free buses would be available halfway through the school year. They may also set up carpooling arrangements. "We're doing our due diligence," Collins said. At the HowardCenter in downtown Burlington, many clients rely on buses to get to counseling, substance-abuse treatment and other services. Bob Bick, director of mental health and substance-abuse services, said he and his colleagues are monitoring the unfolding situation. Neither the bus company nor the union has reached out to them. "I would hope that we could receive some definitive advance notice if there will be a disruption in service," Bick said, "to allow us to try and minimize the impact." Mayor Weinberger initially agreed to an interview about the negotiations but, citing "the sensitivity of collective bargaining negotiations and the fact that the city is not a participant in those negotiations," issued a statement and declined additional comment.